You've heard expressions such as "sly as a fox" and "crazy like a fox," but not "faithful as a fox." It's not an expression, but it should be. Foxes have highly developed social systems, forming strong pair bonds and raising "kits" communally. Some male foxes take a mate, while others practice vulpine polygamy. 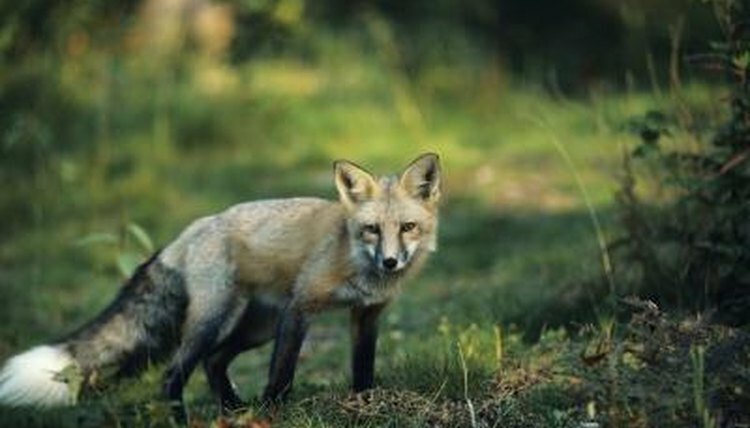 Foxes reach sexual maturity at about the age of 10 months. Their pair bonding behavior varies by species and by individual specimens. While gray foxes tend to be monogamous, they don't associate with their mates when not breeding or when raising kits. Red foxes, meanwhile, might or might not be monogamous: Male red foxes, or dog foxes, might mate with several females, or vixens. The vixen might also breed with several males, but she stays with one male to raise her brood. When forming pair bonds annually, foxes might or might not take the same mates from the previous year. Foxes mate annually. Breeding takes place in early to late winter, with babies born in early to middle spring. The vixen's heat cycle lasts less than one week. Males also have a breeding cycle, as there is no interest in mating except during the winter. Fox pregnancy lasts approximately two months. Litter size ranges from two to seven kits, although three to five is most typical. Foxes raise their young in dens. It's not unusual for these dens to contain more than one entrance or exit. While foxes might dig their own dens, they often take over the abandoned homes of skunks, groundhogs and similar ground-dwelling mammals. Before vixens give birth, they line a section of the den with grass. Vixens rarely leave the den in the period just prior to the birth and for some weeks afterward. It's not the just the vixen and dog fox who raise the young. Young vixens who haven't yet bred act as helpers, sort of the vulpine versions of nannies. If females share a male mate, they might all reside in the same den and raise their kits together. The male provides his mates with food while they're nursing. Born blind and helpless, fox kits open their eyes between the 9th and 12th day after birth. By the age of 3 months, they are weaned. They don't go off on their own until the fall.